The exorbitant cost of utilities is a permanent concern for Toronto homeowners, forcing them to always be on the lookout for accessible ways of increasing energy efficiency and lowering monthly expenses. Kitchen remodeling is by far the most effective way of saving money on energy while boosting the house’s appearance, allowing homeowners to recoup as much as 70-90 percent of the investment after selling the house. According to the U.S. Department of Energy, the kitchen can be one of the most wasteful rooms in the house. Cooking, lighting and refrigeration account for more than 40% of the energy consumption of the entire house in a month, not to mention the electronics and other accessories commonly used in the kitchen, which can raise the bill even higher. Prospect buyers know the importance of energy efficiency all too well. Surveys exploring homebuyer preferences have confirmed the importance of energy-star rated appliances and kitchen remodeling for up to 90% of those in the market to buy a house. The good news is, the residential building industry is promptly responding to these new needs, offering homes that use energy better than in the past. For instance, although the number of homes built between 2005 and 2009 has increased by 2.5 million, the residential energy consumption dropped by almost 6% per household. Some of the decrease may be attributed to the recession, but a significant part is accounted for by the advances in how homes use energy. “Energy-star” is a designation offered by the Department of Energy that applies to all household appliances, from TVs to refrigeratorsto confirm they use significantly less energy than regular ones. The billions of dollars saved in energy bills confirm that the hype surrounding energy-star appliances is well deserved. Aside from lowering energy bills, they also reduce greenhouse emissions and water consumption, while increasing the convenience and performance of the household. The only obvious downside to purchasing energy-star appliances is the higher upfront cost, but the long-term benefits make the investment highly profitable. Using the space in an efficient manner can slash the energy costs tremendously, and the remodeling doesn’t have to cost a fortune. Some highly effective additions that will lower your bill while boosting the appeal of the house are linoleum for the kitchen floor, granite for the countertop and a wiser use of resources. Cutting back on water and gas consumption can easily make a kitchen more energy efficient and save the household hundreds of gallons per year. Going green on the lighting doesn’t necessarily mean altering the ambiance of the room. Rather, it allows homeowners to decrease the energy consumption and still maintain a nice and cozy atmosphere. The best strategy is to install different lighting fixtures with switches for each – that way;you can use only the lights you need and avoid unnecessary consumption. 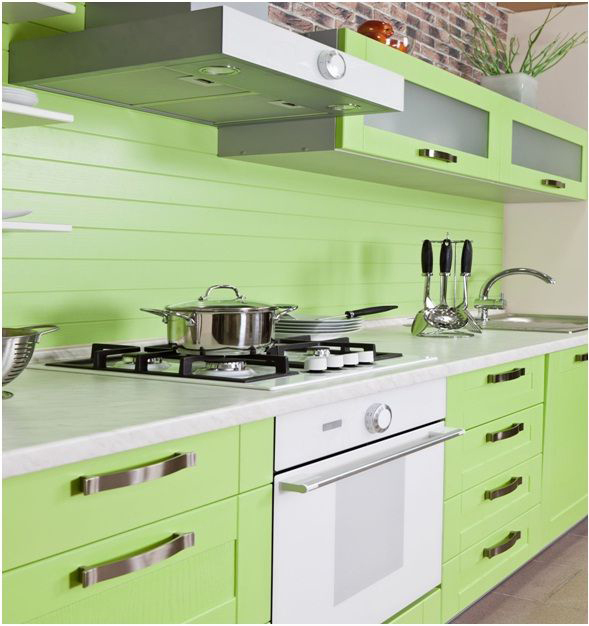 There are plenty of accessible ways to revamp both the appearance and energy consumption of your kitchen, while saving money and protecting the environment. 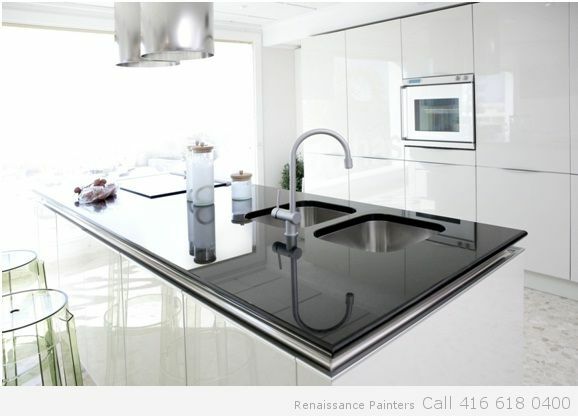 Make sure to hire expert home renovators who can translate your needs and preferences into an energy-efficient and attractive kitchen space.